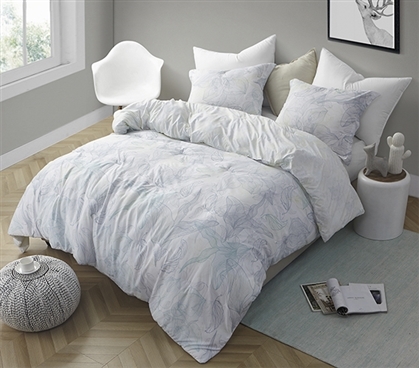 Looking for Flourish Comforter in Oversized Queen or King? Picking out your college comforter can be a tough choice. 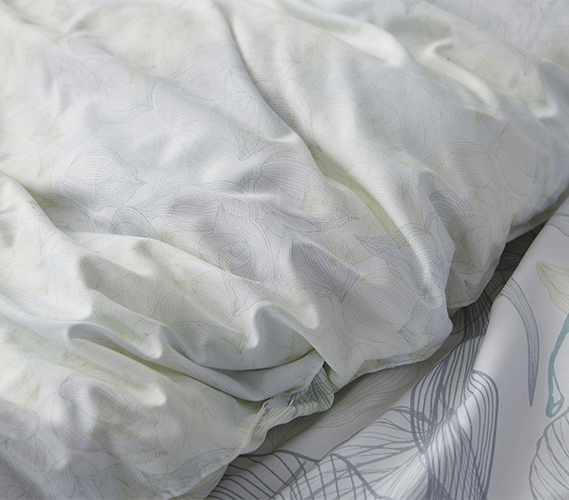 With so many styles and materials, how can you settle on the Twin XL comforter that will get you through college? Let us help you make this important decision for your dorm room easier! Our Twin XL comforters are made with the coziest materials possible to provide you affordable yet incredibly comfortable dorm bedding, so all you have to focus on is the style of your essential college bedding piece. Made with soft to the touch microfiber, a thick inner fill, and a beautiful design, our Flourish - Twin XL Comforter - Supersoft Microfiber Bedding is the perfect choice for any dorm room! This designer extra long Twin comforter will cover your dorm bed with soft comfort and unique style and with an included standard size college pillow sham, there is even more to love about this dorm bedding set. The cozy microfiber material that makes up this soft to the touch dorm comforter will help you relax, even after a stressful day of classes, exams, and whatever else college life can throw at you. And with such a beautiful design, this designer Twin XL comforter is also the perfect choice if you want your dorm bed to play a role in your dorm room decor. And in a small dorm room, any bit of college decor you can add without taking up room is going to be needed. This pretty Twin extra long comforter and matching standard sham includes sketched nature designs that will give you stylish college bedding that will add to the style of your dorm room.